De voorbereidingen voor de Afrikadag 2019 zijn weer in volle gang! 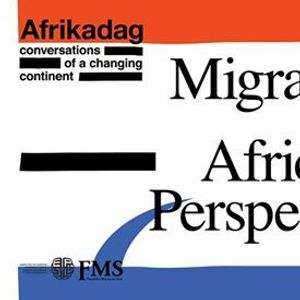 Met 'Migration: African Perspectives' als hoofdthema en een mooie line-up aan interessante sprekers belooft het weer een spetterende editie te worden. Wij hopen van harte dat jullie bij deze editie aanwezig zijn! Check onze gloednieuwe website www.afrikadag.nl voor tickets en het programma. The annual Afrikadag is around the corner! 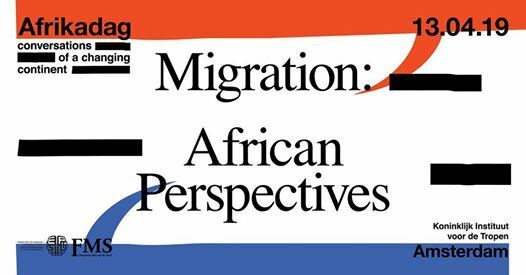 This year’s main theme is 'Migration: African Perspectives'. With a great line-up with interesting speakers, debates, workshops and cultural programmes, we trust this year's edition will be great again. We would love for you to be there! Check out the programma and buy your tickets on www.afrikadag.nl/english/home. Keep updated through our website (www.afrikadag.nl) and Facebook. Also follow us on Instagram, so you won't miss anything about the preparations around the activities on the Afrikadag. See you the 13th of april!